I am going on 6 years of holding Prime Cru wine sales. For those of you that don’t know what a wine sale is, it is the most awesome-est wine event in San Diego. The very first Prime Cru wine sale took place in March of 2009, during the financial downturn. One would have never known that our country was facing a financial crisis if they had walked into Island Prime that afternoon. There were people buying cases upon cases of 1997 Napa Cabs I had stored away for the past 10 years. To this day, the first wine sale was the most profitable where we sold $33,000 of wine in 2 hours. That is insane! Since the first sale, our Prime Cru members have asked for more. Being the softy that I am, I started hosting wine sales 3-4 times a year. Since 2009, I’ve hosted wine sales at Bo Beau in Ocean Beach and Vintana in Escondido. The amount of time and work it goes into putting them together is mind-boggling. We clear out the restaurant’s dining room and load it with wines from our many properties just for a 2 hour wine sale. In the weeks ahead of time, I become a mule running cases of wine from one restaurant to another. I create spreadsheets upon spreadsheets all the time making sure pricing and inventories are correct. Each wine is inventoried, cataloged for the sale and priced below regular retail pricing. We take a loss on some wines just to clear out our excess inventory. The result is screaming deals for our members. Today, I wanted you to see what goes on at one of our Prime Cru wine sales. It is a great way to spend the afternoon. People will stop in, taste a few wines, do some shopping and eat next door at C-Level. The smart ones will take one of their purchases to the table and open it with complimentary corkage. 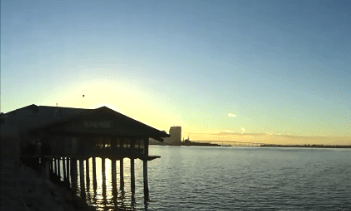 It makes for a great day on the bay. We also hold the wines sales at Vintana Wine+Dine in Escondido. Vintana also has an outside patio where you can enjoy lunch and your newly purchased wine while sitting in the sun. It is easy to become a member. Simply click on the Prime Cru link and fill out the form. You will learn about my upcoming wine sales and other wine events that I host around town. The best part of Prime Cru is that there is no charge and no commitment. Enjoy the video and I will see you at the next wine sale. Wine can be made almost anywhere in the world along the 30th and 50th parallel. (Well, that is except for in the oceans. I have to say that, because I know that someone will comment if I do not clarify. It’s in the nature of wine geeks to know more and let others know how much they know.) The history of winemaking began some 8-10,000 years ago in the Caucasus Mountains near Mesopotamia. Since then, cultivation of grapes for wine production spread throughout the fertile crescent into North Africa, Phoenicia, Greece and into Europe. At first, the Romans were not wine people. They eventually learned from Etruscans, Carthaginians and Greeks how to make wine. Once they did, they spread wine into the what we know as today as the greatest wine growing regions in the world, Rhone, Mosel, Burgundy, etc… The middle ages stifled the growth of art, culture and technology and everything was in control of the Christian church. When the renaissance and industrial revolution came about, wine left the shores of Eurasia and ended into South Africa, Australia and the Americas. This spread of viticulture has left the sommelier and wine lovers in need of experiencing it all. There are also winemakers that go abroad and learn to make wine from other winemakers. They learn from others different farming techniques and solutions to the many hurdles in wine making. I was able to travel around the world in my twenties. It was the best thing I could have done. I learned more from traveling than I had in college. Being exposed to other cultures allowed me to continue to seek something new and different. Naturally, when I immersed myself in wine, I took that same approach and today I seek wines that are not our everyday wines. I began to wonder how many winemakers have worked in different parts of the world? I found out that most tend to get experience elsewhere and then return to their homes or place of inspiration and make wines. However, not many actually work several harvests a year. They might have gotten some experience elsewhere, but they do not continue making wines there. This is why this next seminar with Nick Goldschmidt is so special. Nick Goldschmidt is a Kiwi winemaker who has made wine for a very long time. His career began in 1982 in research and eventually led him through New Zealand and California as a winemaker. I remember first hearing about him when I was buying wine in San Francisco for a small restaurant. I loved his story. Back then he was making wines in New Zealand, Australia and California. He wanted to make wines using the best grape variety that grew in that region. For example, under the Forefathers Label he made Sauvignon Blanc in New Zealand, Shiraz in Australia and Cabernet Sauvignon in Alexander Valley. This means that for Nick, wine making was and still is a full-time job. Just as one harvest ends, he is off to the next region to do another harvest. The true nomadic winemaker. Today, Nick Goldschmidt has stopped producing wines from Australia, but is now producing wines in Argentina and Chile. Although the Chilean wines are not in the market place yet, the Argentinian Malbec is tasting beautifully. Let’s not forget about the rest of the world. Although he is not making wines in other regions, he does consulting in Spain and Canada. A winemaker is only as good as his connections. I say that, because the secret to making great wines is getting great fruit. Nick’s long history and close relationships in California and other parts of the world have allowed him to source fruit from some of the best vineyard sites. Nick is down to earth. Although he can justifiably charge a high price for his wines in the daughters series, “Chelsea, Katherine & Hilary”, he chooses not to. The fruit comes from some of the best vineyards in Oakville, Dry Creek and Alexander Valley. It is in his nature to make wines that are accessible to all. 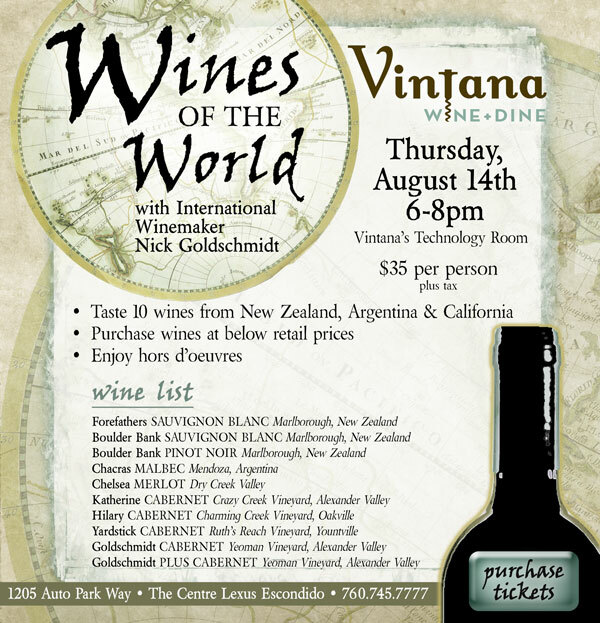 On August 14th, at Vintana in Escondido, Nick Goldschmidt will hold a panel discussion and tasting where I will ask him questions about his wines, wine making techniques and the differences between the many regions he works. The event will be in the Lexus Technology room from 6- 8pm. All the wines tasted will be available for sale. Light hors d’oeuvre will also be served. One of the most popular seminars I have given has been the Chilean wine seminar. A few years ago, Prime Cru members learned about the history and about the present day wine culture of Chile. I had such a great response, that I have decided to give this seminar again. This time, however, a change of locations. Last time we were at Island Prime overlooking the bay. This time I have moved to our new restaurant Sea180 Coastal Tavern sitting right on the sands of Imperial Beach. Since Chile is a coastal country it only makes sense to give the class near the water. The class itself will take place in the hotel’s conference room. There, we will taste 10 wines from 10 different regions and learn what makes Chile so diverse and special. We then will move on up to the Alta Mar Rooftop patio for a walk around tasting revisiting some of the wines from the seminar and exploring other wines from the producers at the seminar. The Sea 180 kitchen will offer hors d’oeuvre for everyone to enjoy. If you so happened to have attended one of the previous Chilean wine seminars, this one will be SO much better. We will have twice the amount of wine with amazing views of the Pacific Ocean. I have been on many wine trips around the world, however, the Chilean wine trip was very special. It is the one trip that remains close to my heart. Maybe it is because of the great company, four sommeliers from around the country, Nichelle Ritter (Texas), Rebecca Chappa (California), Jill Zimorski (D.C. at the time) and Chris Lavine (California). The five of us had an amazing 11 days of visiting regions, wineries and wine makers. The small group size allowed to interact with some of the top wine makers such as Philipe Tosso & Marcelo Retamal on a more personal level. In fact, we will have Marcelo’s wines at the seminar, DeMartino. Other wines featured on June 28th are Valdivieso, Emiliana, Carmen, Arboleda, Odjfell, Penalonen and Meli. A Saturday afternoon never seemed so great! If you would like to attend, can buy your tickets here. Hurry as this seminar has sold out every time! If I were to ask you, “would you rather have a wine made in the vineyard or a wine made in the wine cellar”, what would you respond? Does that question even make sense? After all, aren’t all wines made in a wine cellar? Technically, yes. However, what my question is trying to discuss is Viticulture vs Vinification. This has been a topic of some debate for centuries. The central controversy is whether a wine maker should use the terroir, the soil, the irrigation, the sunlight, the canopy or better said, the viticulture to create their wine. Or, should the wine maker take what he gets from the harvest and change the wine in the wine cellar. The lines are getting a bit blurred in this day in age. There was a time we could say that the old world made wine in the vineyard and the new world made wine in the cellar. But with more modernization of the old world and more naturalization in the new world, things are getting a bit jumbled. The ancient Romans would make their wine in the vineyard and then change it by adding honey, chalk and herbs to make it taste better. Back then, they were unable to ferment wines dry. Their wines were rather insipid. The herbs and honey helped the Romans consume their harvest. Much later, after the renaissance and with the help of science, wine makers discovered that yeasts were the magic behind alcohol. This led wine makers to experiment with sugar. When the use of beet sugar was introduced in Europe, the wines were transformed. For the first time winemakers were able to ferment wines drier. Once again, vinification was very important. On the other hand, the French, the Germans and Italians knew that their wines were a direct representation of their vineyards and land. They wanted the terroir to dominate the wine. They created laws that limited wine makers in the wine room and made them focus on growing grapes. These laws controlled yields, gave grapes specific sites and stipulated levels of alcohol. The purpose was so that when someone drank their wine, they would say. “ah, this is Pommard”? Or what ever region the wine came from. On a good vintage when everything fell right into place, the wines were out of this world. However, in a cold vintage or hot vintage the wines had no chance of attaining greatness. In this world and age where everything is money, there is no room for bad vintages. A bad vintage can break a winery if they do not adjust or fix the wine in the cellar. A whole year’s investment can be lost with a frost. Many wineries have taken to the idea of sustainability. Sustainability means that the land continues to give and sustain the business. The business needs to sustain the land. For many, this means that they need to make adjustments in the winery, either by adding color, sugar or acid to their wines. A good example is Australia. The Barossa Valley is famous for producing ripe, dark, full-bodied Shiraz. The weather is ideal for such a grape. However, if they were to leave the grape to ripen in the vineyard and then vinify it without adding acid, the wine would be flabby. This region is notorious for adding tartaric acid to the wines, so they may attain balance. They need to sustain their business and continue to produce a wine that is enjoyable to the consumer. If we look at Riesling from the Mosel in Germany, wine makers struggle with ripeness. The region is cold and it is difficult to ferment their wines dry. However, the German laws prohibit producers from adding sugar if they would like to meet Pradikat status. This is important, because those producers that meet QdP classification have made their wines in the vineyard, and are not allowed to add sugar to ferment. The wines that meet Pradikat status and are fermented dry are wines of intensity and concentration that is undeniable. The wines were made via viticulture and the result are usually wines that say, “I am Riesling from the Mosel and I am delicious”? California is one of the most gifted wine regions. It has sun, soil diversity and cooling influences. So where do wine makers in California stand on this debate? Many wine makers do most of the work in the vineyard by controlling yields, stressing the vines and dry farming. They believe that they can get a higher quality product if the attention to detail is in the vineyard. Then there are wine makers that get fruit and decide in the wine cellar a style for their wine. Many of the large wine companies fall into this category where they have a brand, and that brand needs to be consistent from year to year. This is something that the viticultured wine cannot guarantee. However, put a little color here, a little acid there a, bit of charred oak to top it off and voila, the wine is the same year after year. These examples are extremes of the argument. Today the lines are blurred and we have many wine makers whom embrace both ideologies. I have reached out to two wine makers from California to come to one of our restaurants and discuss these ideologies in more details. Richard Sowalsky from Clos Pegas Vineyards will sit on the side of Viticulture. Clos Pegas prides themselves on making wines that are food friendly and express the terroir from their estate. On the other side, I have invited consulting and head wine maker for Vintage Wines, Marco DiGuilo. He will discuss the wine making ways behind the wines of Cosentino, Ray’s Station and Cartlidge and Brown. His expertise covers many regions and styles of wine. Each winery is its own brand. Marco needs to use what the regions offer and make the wine in the cellar to meet the brands specifications. Two talented wine makers. Two different points of view. Ten wines. Need I say more. 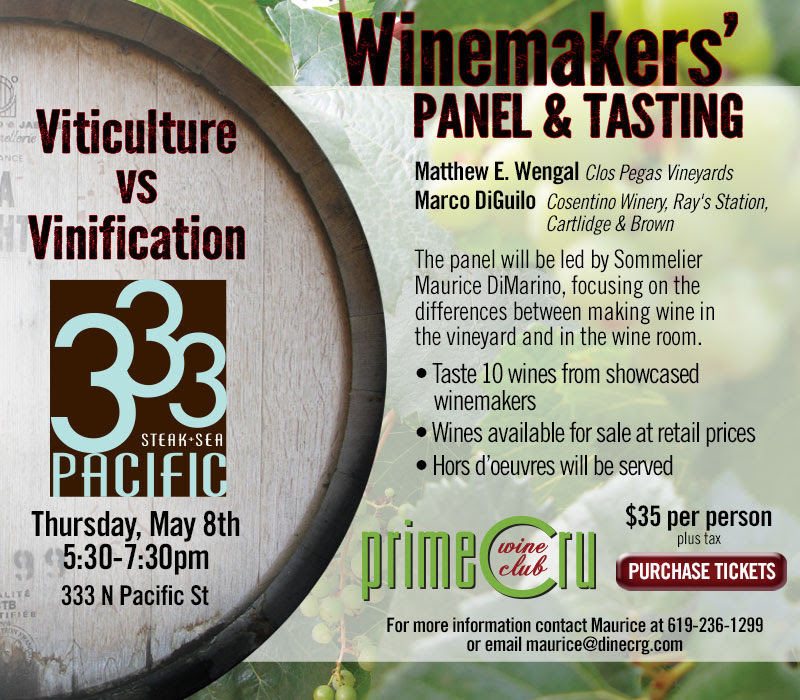 I invite you to our first Prime Cru event at 333 Pacific in Oceanside, The Wine Maker Panel: Viticulture vs Vinification. This event has been postponed. I have been on this kick for wines from northern Italy. Since my visit to the region back in January, I have not been able to shake my craving for more of these wines. The wines from northern Italy are so different from what we have in California. Sometimes I feel as though they are misunderstood. Living here in California, I see that many of my guests are stricken with the California palate. This means they want wines of intensity and robustness. My guests drink wines that grow under the warm California sun and reach perfect ripening year after year. California wines are like the kids from 90210, or better yet, Ricky from Silver Spoons, they have it all. The wines from northern Italy are not born with a sliver spoon in their mouth’s. They have to work for perfection. These wines are burdened with a cooler climate and hindered by vintage variations. In order for them to really stand out, the gods have to align the earth, sun and moon. When we drink these wines we are not overwhelmed with high alcohol levels nor do we taste ripe sweet fruit. Instead, we discover the nuances that make them so special. When everything falls into place they really shine. Like turning a piece of coal into a diamond, or better yet, like Alyssa Milano. If I were to compare California wines with northern Italian wines I would say that California wines are more like Ricky Schroeder and the Italian wines are like Alyssa Milan from Who’s the Boss. What I mean, is that Ricky is perfect, he has it all. His biggest problem is trying to dance along with Alfonso and keep the beat. Other than that, life is perfect for him and he doesn’t have to try too hard to fit in. Whereas, Alyssa Milano has a housekeeper for a father, and she has to really work at fitting into the new neighborhood. At the end of the day, she has character and the audience feels for her. Heck, it takes someone with character to land a role as a witch with two other hot girls. Not sure if I made a good point, but you get my drift. My guests love the ripeness of California, therefore are more apt to enjoy the wines from Central and Southern Italy where the sun is warmer and wines are more intense. My goal is to introduce northern Italian wines to them. These wines are so diverse. There are many different types of grapes and each produce a wine that is subtle, elegant and beautiful. Kind of like Alyssa. The Ricky Schroeder wines have a great first impression. Their aromas are intense with fruit and oak. They are full on the palate but then all that intensity overwhelms the subtleties and then the wine is gone leaving you empty. Ricky is a good-looking, smooth talking kid, but not much upstairs, and he can’t dance like Alfonso. Where as Alyssa is sweet on the eyes, but once you get into her character she is a girl of high moral standards and cares for her family which makes her even more beautiful. She is much more down to earth. The Northern Italian wines have nice aromas of flowers, earth and potpourri. The fruit is present but not overwhelming. The alcohol is in balance with the acidity and tannins. These wines allow you to eat food, enjoy a second bottle and can age longer. I will say that Alyssa’s career was definitely longer than Ricky’s, or may be I just continued to watch her b-movies more than I did Ricky’s. Can you tell that I had a crush on her when I was 14? 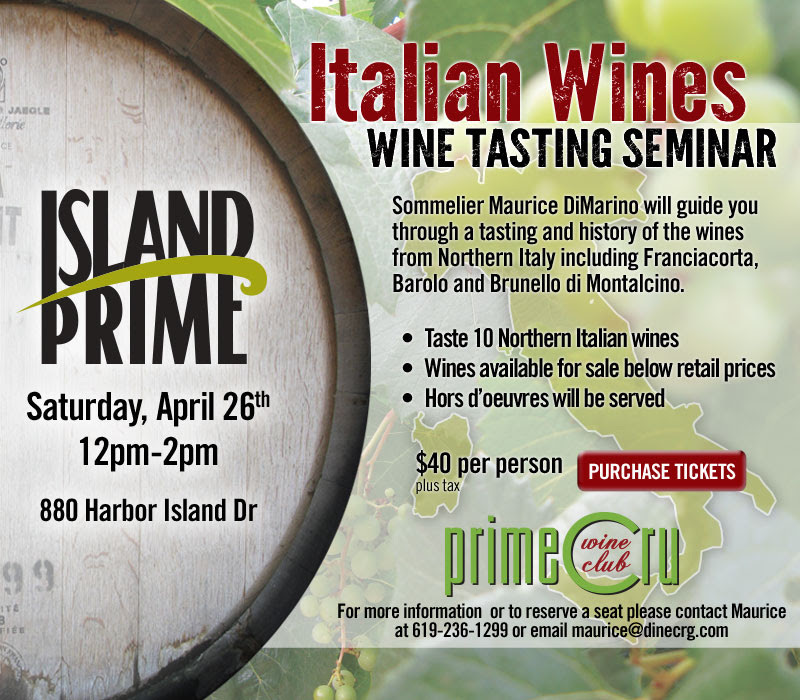 On Saturday April 26th I will be presenting to my California wine drinking friends the wines of Northern Italy. My wine club, Prime Cru will be hosting a class and tasting of this region. All the wines will be available for sale after the tasting. You are welcome to buy tickets on-line by clicking the link below. Unfortunately Alyssa Milano will not be there this time. However, come and see why I am so gaga goo goo for the wines from northern Italy.